One year ago, Microsoft took a big gamble when they released Windows 8 with a new user interface that looked very different from their successful twenty year-old template. Throughout the year, Microsoft has been listening to end user feedback and they have recently addressed the biggest issues with Windows 8.1, the first major upgrade to Microsoft’s newest OS. What Got Fixed with 8.1? Windows 8.1 is a significant upgrade because it addresses the most common gripes with Windows 8. Here are four of the biggest user issues Microsoft fixed with the release of Windows 8.1. Fixed: No Start button- now there is one. Fixed: The touch screen user interface was viewed as very difficult to use with a mouse and keyboard. Fixed: Toggling between the new User Interface and the Windows 7-like desktop felt slow and cumbersome. Fixed: Windows 8 did not allow for a direct boot into the traditional desktop interface which gave access to legacy programs like Microsoft Office. 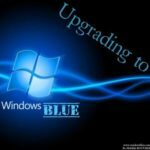 While Microsoft has done a lot with Windows 8.1 to make their product easier for the end user to operate, Windows 8.1 upgrade is actually much more than window dressing. One of the most attractive selling points with the Windows 8.1 download is that many of its features have been improved with businesses in mind. The Power User menu: Makes it easier to shut down, restart, or put your PC/device to sleep. Search: Improved search capabilities include both results from your local network and the Internet. Search Hero: A new feature that takes search results from your device and the web, and presents the results to you in the form of a single page containing both graphics and videos. Top settings: A new feature that conveniently displays the settings you adjust the most so you don’t have dig into the menu for every minor adjustment. Windows Store: A list of apps relating to the app you’re currently viewing is now along the side of what you’re shopping for. Microsoft has also improved Windows 8.1 with better IT controls, security features, and device management capabilities, making it a product for businesses that should be taken seriously by any network administrator.Is Windows 8.1 Right for Businesses? These enterprise-level improvements will go a long way to fix the perception Windows 8 is a consumer product meant primarily for mobile devices. 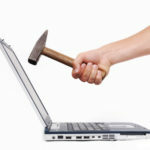 This is a perception that Microsoft has battled since the original release of Windows 8, and their situation has not been helped by the fact that workstations still dominate the business market, and Windows RT (the mobile version of Windows 8) has done little to put a dent in the iOS and Android stranglehold on the mobile marketplace. The timing of the Windows 8.1 release is a bit peculiar considering everything that Microsoft has going on right now. 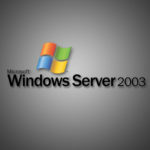 With the end of support date for Microsoft XP fast approaching this April, there are still hundreds of millions of users still in need of an upgrade from XP to a newer operating system. 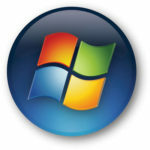 More times than not, a business making the decision to move away from XP will gravitate towards Windows 7 for its familiar look and feel, but now that Microsoft has addressed several of the biggest Windows 8 concerns with 8.1, it may make businesses think twice about choosing Window 8 over 7. For assistance upgrading your operating system on all the workstations and devices supported on your company’s network, give Quikteks a call at PHONENUMBER.